Are you 4 out of 5? The Windsor-Essex County Health Unit claims that 4 out of 5 people support artificial water fluoridation. The Health Unit plans to lobby Windsor Councillors and Essex County Council to start adding hydrofluorosilicic acid (sometimes referred to as ‘fluoride’) to the public drinking water supply, based on this claim of community support – and the fact that they are mandated to promote water fluoridation. If you don’t support an untested, unregulated and unnecessary chemical being added to our water, please let Windsor Council know. Including your name and address will ensure you are recognized as a resident and potential voter. Windsor Council voted to end fluoridation and review the issue in 5 years – that 5 years is up. Council made this decision after hearing from both sides of the issue. Windsor Utilities Commission, the water supplier responsible for providing the safest water possible, recommended the city stop artificial water fluoridation. Prior to this, Lasalle Council voted to ask the Province to test and regulate the chemical used – but the Province has failed to do so. The Town of Tecumseh voted to ask Windsor Council to stop fluoridating because Windsor supplies Tecumseh with water. Lakeshore and Amherstburg both voted to end fluoridation even earlier. The rest of Essex County has never fluoridated. Across the province and country many communities have ended artificial water fluoridation. The majority of our country’s water supplies are not fluoridated. There have been no new fluoridation schemes in Ontario since the 90’s. 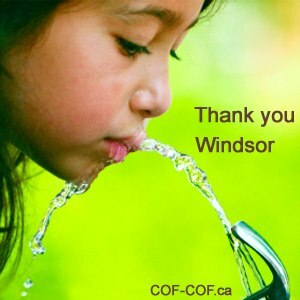 Windsor Council was progressive and protective of formula fed babies, the environment and more when they voted to end the outdated, unethical and unnecessary practice of artificial water fluoridation. It is disappointing to read about MPP Percy Hatfield’s flipflop on fluoridation. When he voted for safe water as a Windsor Councillor in 2013 he said he believed Windsor residents deserved to make the choice to use fluoride for themselves. Now, after being voted in as an MPP, he believes the province should mandate and force all Ontarians to ingest fluoridation chemicals. Well, not all, just those unable to install expensive water filter systems. He changed his mind “after talking to dentists from across Ontario”. Perhaps instead of talking to dentists that have no expertise on what fluoride does beyond the oral cavity (remember they tell you SPIT IT OUT) and that are mandated to support fluoridation as a condition of their license, he could instead take a look at the Windsor Essex County Board of Health’s latest oral health data which shows very little change, and even some improvement, in the dental health of children, after ending fluoridation. Of the municipalities in Windsor-Essex: 3 stopped fluoridation in 2013 (Windsor, Lasalle and Tecumseh), 2 stopped a couple of years prior (Lakeshore and Amherstburg) and the remainder never did fluoridate to begin with. The chart below comes from the latest oral health report. Note how children in JK still have less than 1 DMFT (decayed, missing or filled teeth); Those is SK still have less than 1.5 and those in grade 2 still have less than 2.5. “An official with Ontario’s health ministry said no changes “at this time” are being contemplated for the Fluoridation Act…” so why the hype now? MPP Delaney and Hatfield might be listening to their fluoridation proponent friends, but other MPPs are actually doing something to improve access to dental care for children that otherwise do not get to see a dentist. MPP Vernile of Kitchener-Centre and MPP McGarry of Cambridge are working to expand programs that would make it easier for children to get dental care and increase access for low-income families to get dental services. This is what progressive policy making looks like and we applaud their efforts to make access to dental care more equitable, while protecting our environment from a chemical that is classified as hazardous waste. 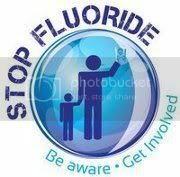 In the meantime, if your MPP is going to support medicating your water supply and polluting your environment with hydrofluorosilicic acid, perhaps you can ask him/her to show how you are deficient in fluoride to begin with and the peer-reveiewed studies that prove water fluoridation is safe and that it prevents tooth decay. Just WHAT is the Recommendation Based on if it Isn’t Based on Evidence? An Access to Information request for any and all evidence that fluoridation is safe and effective. The response: none found! In March 2013, Windsor Council voted to stop adding hydrofluorosilicic acid (H2SiF6) to the public water supply. Naturally occurring calcium fluoride (CaF) is still present. Following a two-year safe water campaign, hours of debate, stacks of evidence and messages from the community, our council voted WITH our water supplier’s, the Windsor Utilities Commission, recommendation to stop adding hydrofluorosilicic acid to the public drinking water supply. 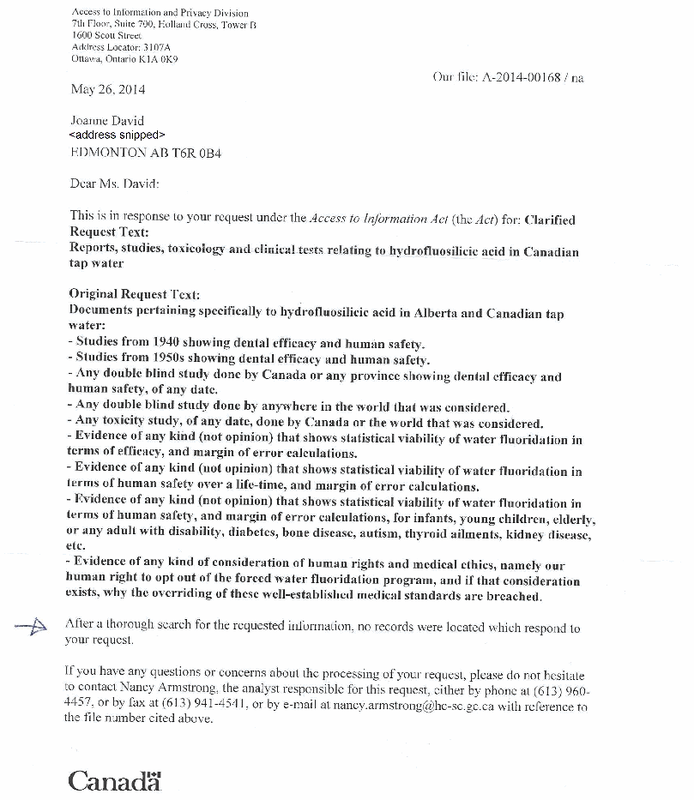 In December 2014, a Liberal MPP submitted a petition calling for mandatory fluoridation whereby the province would force all water suppliers in Ontario to add this hazardous waste grade fluoridation chemical to the drinking water supply. “Calgary Alberta, Dorval Quebec and Windsor Ontario are such examples of stupidity…”, he said. How dare this MPP from Mississauga call our council and our community stupid! His own community’s municipal council is currently facing lawsuit for their continued use of this untested, unregulated chemical. Windsor council had the foresight to end this practice before such action was brought here at the expense of Windsor taxpayers. Perhaps you’d like to write your council and THANK THEM for their progressive, protective action to make our water safer by ending artificial chemical fluoridation. Richmond, October 19, 2014. It was today that Richmond held its public consultation on water fluoridation. This was a historic event as it was the first public consultation or referendum where the population was asked to vote and they rejected fluoridation. This outcome is a result of the tireless work over a 2½ year period by a group of citizens, primarily young mothers concerned with their family’s health. They first succeeded by getting a parliamentary commission on the issue back in April 2013. Even though the conclusions from this commission were in fluoridation’s favor, the commissioners did insist that social acceptability was necessary before proceeding with the installation of fluoridation systems and did not want to make fluoridation mandatory throughout Québec like the Public Health Agency wanted. They left the choice to fluoridate or not to each individual municipality. The fact that Richmond’s citizens rejected fluoridation at 76%, despite the fact that they will have to reimburse a $127 000 penalty, clearly shows that there is a lack of social acceptability when people are well informed by those promoting as well as those opposing water fluoridation. We would like to thank the local media who were interested in this issue and allowed both sides to be equally represented. The government will have to take note of the lack of social acceptability found in this public health measure. More and more citizen groups opposed to fluoridation are emerging in Québec, Canada and across the world, challenging the fluoridation dogma. This is an ideal occasion for the government, who is searching for ways to reduce its spending, to cut this program which is evaluated at some $4 million. This is a lot of money spent on fluoridating only 3% of the population’s water. When we know that we only drink 1% of this water, the expense does not seem justified, especially since the remaining 99% is thrown back into our aquatic environment which is very sensitive to this contaminant. The Citizens for Healthy Water in Richmond committee would like to thank the Réseau sans fluor, the Coalition Eau Secours, the Front commun pour une eau saine, the CREE, the Amis de la terre du Val-Saint-François as well as all the other citizen groups who are working hard to stop water fluoridation in their communities. The committee wholeheartedly thanks all the citizens who helped get the word out and went to vote; democracy has spoken. They also wish to recognize the openness of the municipal council who organized this exercise in democracy that contrasts the methods used by the Public Health Agency to introduce fluoridation in Québec’s municipalities. This conclusion clearly shows that when citizens decide to get involved, it is possible to have a positive impact and see real change happen. What does Windsor have to look forward to now that the water is free of hazardous waste? According to the fluoridation lobby, dental decay will spike and one dentist has even claimed that decay rates will double. We’re not sure what he could possibly be basing this opinion on, however, because the available fluoridation cessation literature shows that fluoridation is unnecessary. 1) Dr. Amir Azarpazhooh (DDS) concluded, among other things, that “a global decrease in dental caries has occurred regardless of fluoridation status” and “despite a historical interpretation that the removal of fluoride would result in an increase in dental caries the findings… do not support this claim.”. 2) The prevalence of caries (assessed in 5927 children, grades 2, 3, 8, 9) decreased over time in the fluoridation ended community while remaining unchanged in the fluoridated community. Maupome´et al, Patterns Of Dental Caries Following The Cessation Of Water Fluoridation, Community Dentistry And Oral Epidemiology, (2001) 29 37–47 http://cof-cof.ca/wp-content/uploads/2012/02/Maupome´et-al-Patterns-Of-Dental-Caries-Following-The-Cessation-Of-Water-Fluoridation-Community-Dentistry-And-Oral-Epidemiology-2001-29-37–47.pdf. According to this article recently posted in the Windsor Star: Health officials offer advice after fluoride’s demise, public health is aware that our diet is an important factor for dental health and that if children swallow too much fluoride there is a ‘risk’, though Arsenault is referring to swallowing purified fluoridated toothpaste and not hazardous waste fluoridation chemicals added to drinking water such as infants would be swallowing despite having no teeth. It is interesting to note in this article that the public health officials admit that the Union Water Station (servicing Leamington, Kingsville, and Essex) is fluoridation free because H.J. Heinz uses that water to make baby food and would have to remove the fluoride (and hydrofluorosilicic acid’s co-contaminants of lead, arsenic, mercury and more) before using the water to make baby food; and yet, these same public health officials claim it is perfectly safe for parents to use fluoridated water (complete with co-contaminants) to mix with baby formula and early weaning foods for our infants. How do they justify this inconsistency? The Canadian Paediatric Society states “Because the action of fluoride is topical, NO FLUORIDE should be given before teeth have erupted.” And of course, we wouldn’t want to increase our children’s exposure to any of the co-contaminants found in fluoridation chemicals.